WALNUT, Calif. – November 7, 2011 – ViewSonic Corp., a leading global provider of computing, consumer electronics and communications solutions, today announced its industry-leading PJD6 Series DLP projector line, comprised of the PJD6253, PJD6223 and PJD6553w, are Crestron and AMX certified, and all specifically designed for both classroom and corporate environments. ViewSonic’s PJD6 Series projectors are equipped with Crestron RoomView® network management software that enables centralized control for up to 250 projectors. With Crestron RoomView®, users have an advanced, real-time alert system that sends status updates regarding power, lamp life and unit presence to simplify maintenance efforts. 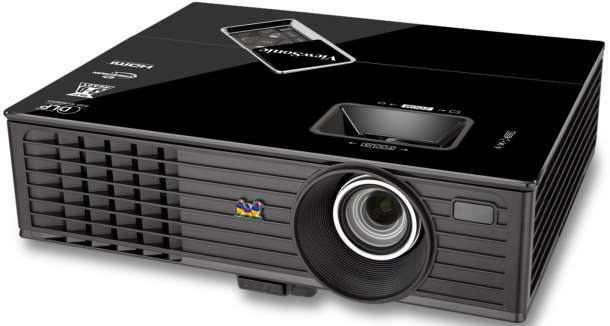 The projectors are also the first ViewSonic projectors to be AMX certified, as a result of the company’s acceptance into the AMX InConcert Program. With ViewSonic’s Smart ECO™ technology, PJD6 Series users can always present their content with the appropriate lighting to capture audience focus by dimming an image as needed, while enjoying an automatic energy savings of up to 70 percent. Furthermore, the PJD6 Series’ ECO mode delivers a longer lamp life of up to 6,000 hours for greater energy and cost savings, along with the added bonus of noise reduction. When it comes to lamp maintenance, the Series’ top slide door design makes the task easier than ever. The 120Hz/3D-ready PJD6 Series is packed with useful features, such as versatile connectivity options, including HDMI and multiple PC and video inputs, a Dynamic Movie mode for amazing image contrast, Digital Keystone Correction and a 10-watt integrated speaker. Teamed with 3500 lumens (2700 lumens on the PJD6223) and BrilliantColor™ tech­nology, these projectors deliver a clear and vivid image in most any lighting environment, while maintaining a low total cost of ownership. The PJD6253 and PJD6223 are both advanced, networkable XGA 1024x768 projectors, perfect for any lighting environment. For those that desire a widescreen format projector, the PJD6553w has a WXGA 1280x800 native resolution, and is ideal for 720p HD viewing in the classroom, living room or boardroom. LAN connectivity also enables remote network management for easy device management. The ViewSonic PJD6253 and PJD6223 are available now in North America and Latin America, and the PJD6553w will be available in mid-November, with an industry-leading three-year limited part and labor warranty, and a one-year lamp warranty, for respective ESPs of $559, $709 and $749.